The most northerly state in the continental US, Maine is one of its most exciting and rewarding playgrounds, with everything going for it in terms of rugged coastline, unspoiled wilderness interior and a lively culture ranging from millionaires’ playground enclaves like Kennebunkport to arty bohemian cities like Portland. And the best places to stay in Maine reflect this diversity too with options ranging from great value inns to unbridled luxury. Of course nobody who ever mentions Maine ever fails to mention the lobster, and the clams, which are just part of an overflowing natural larder that brings drooling foodies from all over the US. There’s so much to see and do here in this land of wide open, sparsely populated spaces. Whether you’re up for a hearty adventure kayaking, cycling, hiking in the endless forests and mountains, exploring the picturesque waterways, or enjoying the beach life with a glass of locally-brewed beer in hand. This is a state off the beaten tourist track that will surprise you at every turn. Our choice of the best places to stay in Maine contains a strong whiff of sea air making the most of the state’s great maritime tradition. Surrounded by the historic old town, Portland Regency Hotel is ideal for a unlocking of Portland's cultural charm. 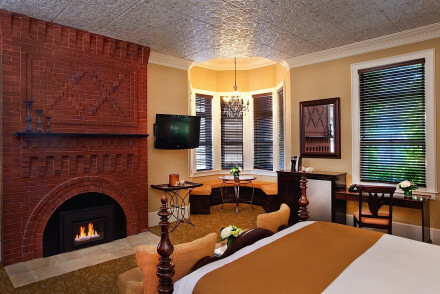 The rooms are stylishly designed, featuring antique fireplaces and luxurious marble bathrooms. 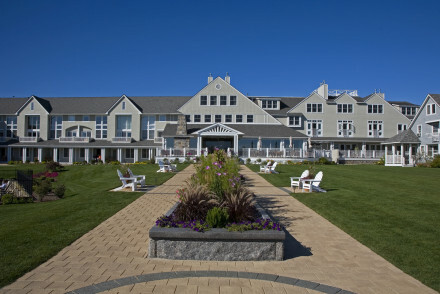 Overlooking Kennebunk beach, the Beach House Inn offers incredible views of the Maine coast. Set in a charming Victorian beach house, it features chic rooms, an excellent restaurant and a spa fit for every indulgence. 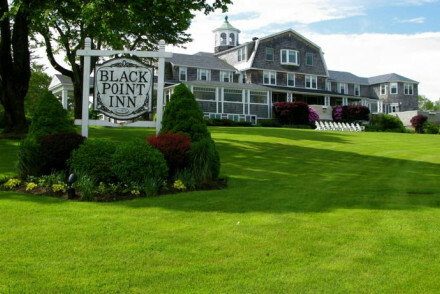 The Atlantic is everpresent at the elegant Breakwater Inn & Spa. More active guests can go out lobster potting or kayaking where as those bent on relaxation can retreat to the excellent spa. 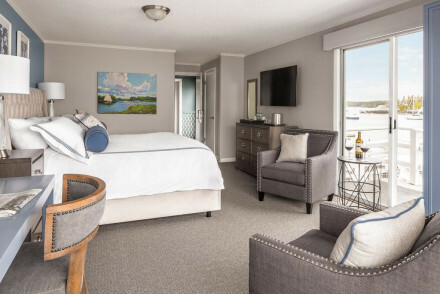 The Captain Fairfield Inn is steeped in maritime history and since its tasteful rennovation has become a delightful place to stay in Kennebunkport. Beautiful rooms, a glorious garden and an excellent restaurant all combine to form this fine establishment. 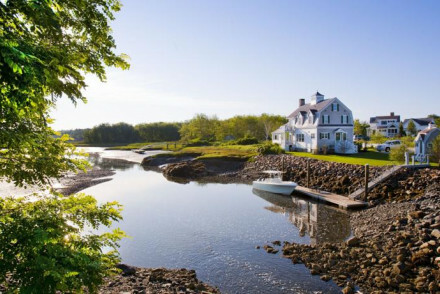 Not far from the famous Rachel Carson National Wildlife Refuge, The Inn at English Meadows, Kennebunkport offers the best kind of fine New England hospitality - homely and intimate. This luxury bed and breakfast is just a short walk to the Dock Square with its gourmet eateries and select shops. 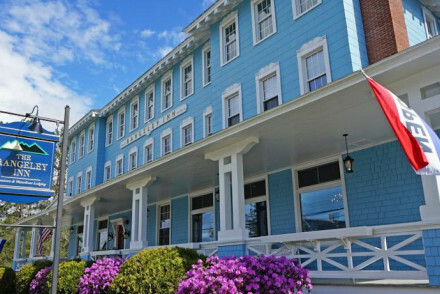 Stowed away on the edge of Cape Newagen, the Newagen Seaside Inn is a delightful hotel overlooking the sea. Set amidst beautiful wooded gardens and with a host of seafaring activities to choose from, it's a perfect base for those looking to get the best out of the Atlantic seaboard. Nestled in the remote coastal community of Bar Harbor, Shore Path Cottage is a charming seaside hotel. When you're not out spotting whales or walking along the beautiful surrounding coastline, enjoy the homely comforts this lovely B&B has to offer. 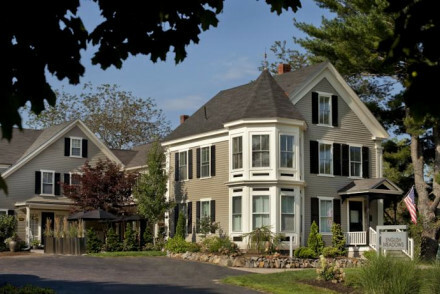 A stay at the Lindenwood Inn is like being welcomed into the home of a local Maine family. This seasonal B&B is awash with local charm and there's no better place to soak up the convivial atmosphere than in front of the sitting room fire. Grace White Barn Inn in Kennebunkport is rustic and traditional but still super-smart; a charming inn on the Kennebunk River, famous for its lovely landscapes, and proximity to Maine's best beaches. The barn is 140 years old, and has retained its old world features, while adding others, like the sophisticated spa, that belong very much to today’s world. Migis Lodge, South Cascon offers log cabin luxury in the pine forest looking over beautiful Lake Sebago. Lobster dinners, daily BBQ lunchtime cookouts and evening drinks on the veranda. Great activities thrown in including water skiing and pilates. 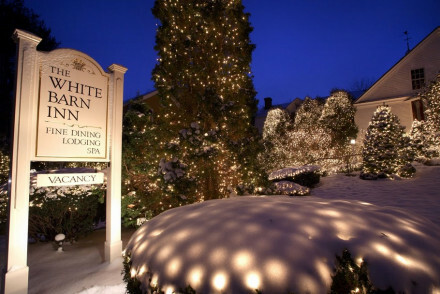 Hartstone Inn & Hideaway is renowned for rooms that are elegant, spacious and light. The schooner Surprise offers 2-hour day trip out into Penobscot Bay, within easy reach of this Victorian-style B&B in the heart of Camden. The Inn at Sunrise Point, Lincolnville provides opportunities to sail in an historic Windjammer and the schooner Old Lincolnville, the icing on the cake of a stay at this elegant ocean-front B&B, perched on the Penobscot Bay. Seaside-chic decoration with blue on white tones and clean lines with plenty of natural light. Harraseeket Inn in Freeport offers local fishing trips and sportfishing charters. It also boasts 23 fireplaces in spacious and thoughtfully decorated rooms, an ndoor heated pool and two on-site restaurants. Whether it’s fly fishing, trolling or ice fishing anyone who likes to hold a rod will find something to satisfy them at the Lodge at Moosehead Lake, Greenville. This enchanting property, perched right on the Mooseshead Lake, is a sophisticated wilderness escape. 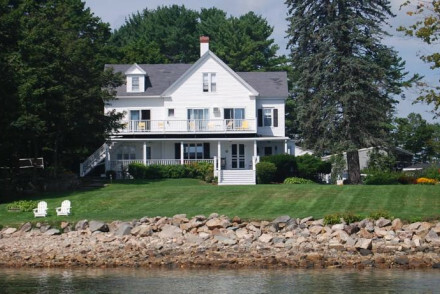 Dockside Guest Quarters in York Harbor offers a mix of seaside spirit and homely charm. Go out for the day on one of the hotel's fishing boats or simply relax on the beach before retiring to the hotel's intimate bar. Set amidst rolling pineland with farm-to-fork dining and outdoor rain shower, the Hidden Pond (situated just outside Kennebunkport) is a rural charmer. Enjoy great hiking trails, art classes and kayaking trips. 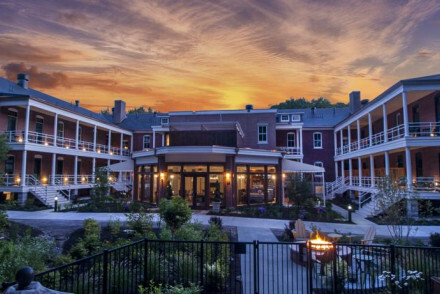 This hotel is perfect for those looking for a hideaway in Maine. 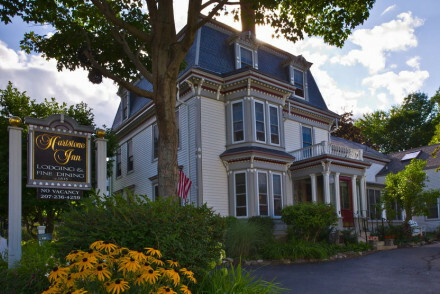 The Maine Stay Inn is set in one of the region's most historic buildings dating from 1802. Its beautiful exterior is matched by quirky, imaginative interiors that give the place a very unique feel. Perfect for unlocking the historic town of Camden. 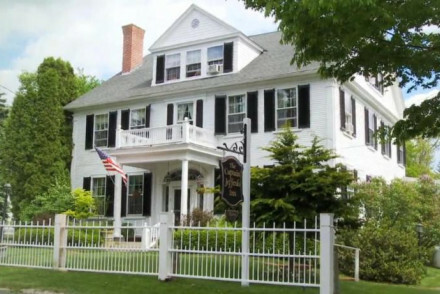 Captain Jefferds Inn is a lovely B&B that embodies the local maritime heritage of Kennebunkport. Blending modern comforts with historic decor, it's the perfect launchpad for unlocking the town's natural charm. The Inn at Diamond Cove lies at the heart of the picturesque Casco Bay on Great Diamond Island. It's packed to rafters with activities, such as tennis, hiking, fishing and swimming. Ideal for exploring the wonderful culture of island life in Maine. 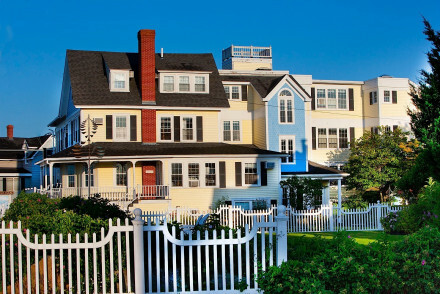 The expansive Colony Hotel is perfect for a family holiday in Kennebunkport. Comprised of smart rooms, two restaurants, a private beach and boasting a plethora of activities from surfing to foraging, there's something for everyone here. Whether it's early morning yoga sessions or early morning crab catching, Inn by the Sea in Cape Elizabeth (just south of Portland) has something for everyone. With spacious, modern rooms, a deluxe spa and stunning ocean views, it's ideal for families looking to escape to the coast. Busy local birdlife is touted as one of the attractions of The Rangeley Inn. 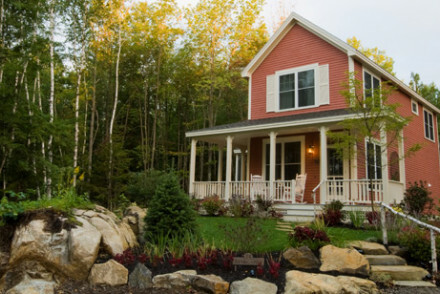 This comfortable retreat in a lively lakeside village is a great base for exploring Maine’s outdoor paradise features private porches & lake views. If your looking for something a little more private, we recommend visiting our online partners: Booking.com. The two main aiports that service the region are Portland International Jetport and Bangor International Airport. Maine is well suited for a road trip so for car hire visit our online partners: Rentalcars. Maine is a place for all seasons, with skiing in the winter months and a stunning autumn fall. However, to see the region at its best, we recommend the summer months, June to September, with temperatures generally sitting in the early 20s. or contact our gurus for further tips and advice. For a wider search, look at our collections of the best hotels in New England. Lindenwood Inn is a charming, seasonal bed and breakfast with a peaceful garden and quiet swimming pool. Cosy bedrooms with homely touches and individual designs. Guests can relax in the small bar and welcoming sitting room with fireplace. Wonderfully located in a lively lakeside village , this is the perfect base for exploring Maine’s outdoor paradise. 3 types of room; 'Traditional' - cosy historic feel, 'Tavern wing' - more spacious light & contemporary, and Haley Pond Lodge - simple rooms boasting private porches & lake views. 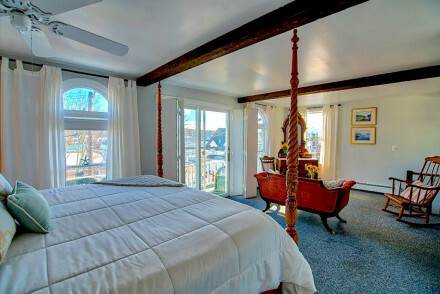 A charming old school B&B in Harbour Bar, on Mount Desert Island. Warm and welcoming from start to finish, with cosy floral print beds, an excellent home-cooked breakfast and attentive and helpful staff to help plan your perfect trip. A real all-American stay. 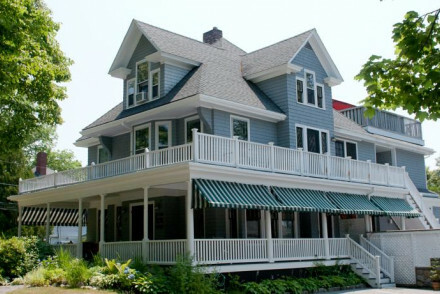 Dating back to 1891, The Beach House is one of the oldest Bed & Breakfast, oceanfront hotels in Maine. The seaview bedrooms are light, crisp and elegant. 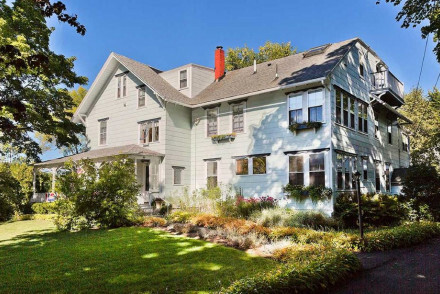 The house maintains its original Victorian charm, while providing all modern conveniences. 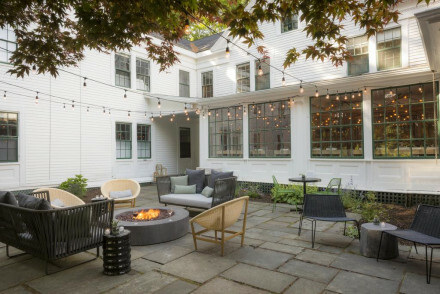 The perfect New England getaway! Great walks - From woods and wetlands or seashore beaches and rugged coastlines, the Kennebunk, Maine area has it all. Sights nearby - Maine Maritime Museum, Kennebunkport Brick Store Museum, Kennebunkport Trolley Museum. Sailing - Soak up the sun and salt air on our daily sailing excursions. Surfing - Nearby Gooch Beach is renowned for surfing. 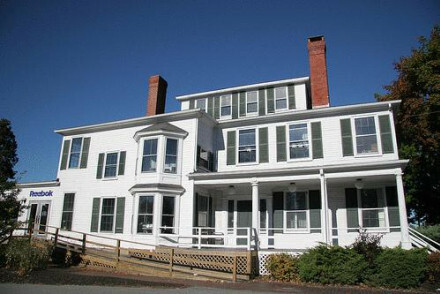 The Maine Stay Inn built in 1802 is a listed building on the National Register of Historical Places. This boutique hotel has its own quirky retro-chic decor, think period furniture, wooden floors and floral prints. Experience Old Camden in this historical haven! Kayaking - Sea Kayaking only two blocks away. A quaint and charming B&B in the lovely town of Boothbay Harbour. Modern interiors are thoughtfully laid out with comfortable beds, local artworks and indulgent treats such as natural boutique toiletries. They serve an excellent breakfast and the helpful staff will make you feel right at home. A Victorian-style B&B, nestled in the heart of Camden. Rooms are elegant, spacious and light, with warm colours and soft tones. Mouth watering meals and spa treatments complete the pampering. Great walks - Acadia National Park boasts 120 miles of trails, pristine lakes, breathtaking sea vistas, coastal shores and pebbled beaches. Cooking classes - From November through May, the Hartstone Inn schedules numerous cooking classes at our Camden bed and breakfast. Sailing - The Inn-keepers recommend the schooner "Surprise" for a 2-hour day trip out into Penobscot Bay. Fishing - Lake Megunticook, located five minutes from the Inn, offers great freshwater fishing. In the heart of the city's Old Port district, this hotel is surrounded by boutiques, galleries, and restaurants. Two blocks from the waterfront. Beautiful, smart rooms feature fireplaces and luxurious marble bathrooms. Full of historic charm. Ideal for exploring Portland's top landmarks. This Inn, boasting 23 fireplaces, is cosy and welcoming. The rooms are spacious and thoughtfully decorated. Enjoy a dip in the indoor heated pool, or a delicious locally sourced meal at one of the two on-site restaurants. A short distance from eye tempting shopping in Maine. Fishing - Local fishing trips by Obsession Sportfishing Charters, Coastal Fly Angler and Hillbilly Charters. Birdwatching - Beautiful walks in Mast Landing Bird Sanctuary, Thorncrag Bird Sanctuary and Maine Wildlife Park. Great walks - Visit Coastal Maine Botanical Gardens for a scenic walk. 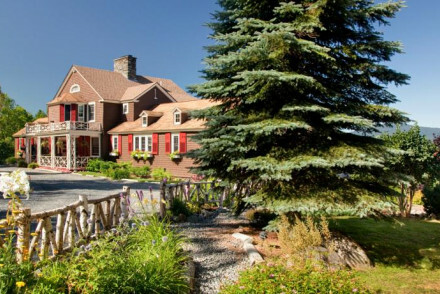 A lovely family run B&B in Bar Harbor with ocean views and a large garden. Rooms are large & traditional & there's a homely atmosphere and warm welome. The family will give you all the advice you could possibly want about ocean activities, and hiking & biking in the local national park. Seashore chic meets homely comforts; think white on white, plenty of natural light, fireplaces and an eclectic mix of nautical decorations. Porches and balconies face out onto unmatched views of southern Maine’s rocky shoreline and the Atlantic Ocean. Heaven on York Harbor! Cooking classes - Take a cooking class from the reknowned Stonewall Kitchen. Restrictions on children - Children cannot be accommodated. 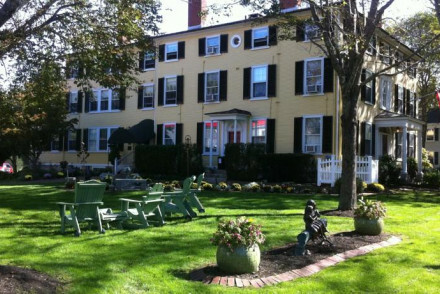 This 19th century boutique Inn maintains its New England coastal style. 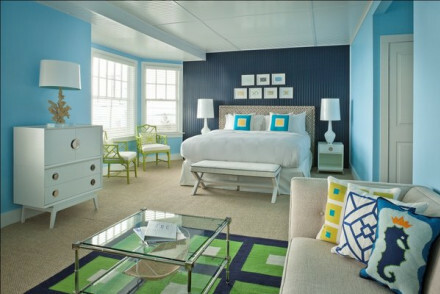 The rooms are plush to say the least and follow a crisp blue and white nautical theme. Pamper yourself in the spa, or sit on the deck, glass of wine in hand, and admire uninterrupted views of the Atlantic. Total relaxation! Sights nearby - Kennebunkport and the Maine Coast abound with many fine art galleries, featuring local and world-renowned artists. Fishing - Pull up a few lobster traps and learn what a real lobsterman does on the Kylie's Chance Lobster Tour. Local markets - The village of Kennebunkport offers a multitude of fine shops selling locally made products. Kayaking - Take an exciting three-hour guided kayak tour to Porpoise Point with Coastal Maine Kayak. 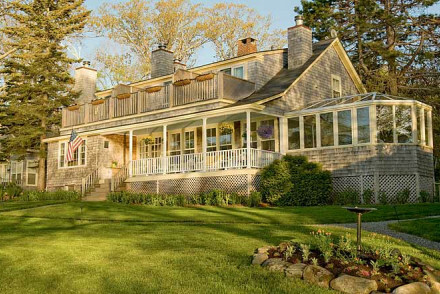 Historic home in maritime Kennebunkport that has been artistically renovated. The rooms feature bold colours and patterns, striking wallpaper and modern furnishings. There is a beautifully manicured garden with outdoor lounge and firepit, and it is located close to some of Maine's best beaches. 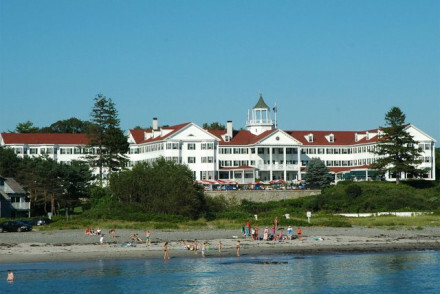 A picturesque family friendly hotel overlooking the Atlantic Ocean and Kennebunk River. Private beach, expansive lawns and gardens, large outdoor pool. Endless activities from surfing and kayaking to berry picking. Ideal for both a relaxing and active retreat in beautiful surroundings. A warm and welcoming, albeit slightly whacky, boutique B&B in Portland. The interiors are a treasure trove of local artworks, murals and antique pieces that tie together beautifully to create a vibrant and lively environment. The breakfast is exceptional and the staff are knowledgable and helpful. A charming, idyllic inn, located just steps from the beach. Hiking, biking, rowing, swimming, fishing, bowling - the activities are endless. Rooms decorated in pastel shades have a nautical vibe, private terraces, and beautiful ocean views. Perfect for both an active and relaxing sea-side vacation. A chic and historic mansion in the picturesque town of Camden. A recent renovation has breathed new life into this New England treasure, think bold colours, funky light fixtures and original artworks. There is an excellent restaurant, wrap around porches and outdoor fire places for guests to enjoy. 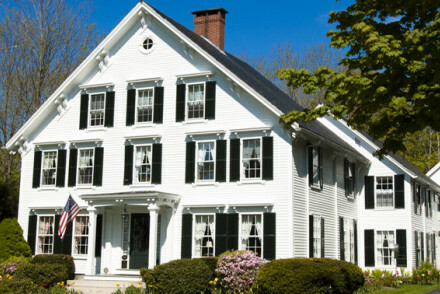 Luxury bed and breakfast in a fine New England house. Bedrooms are immaculately decorated in a contemporary style with large beds and fine linens. The Inn feels homely and intimate and is just a short walk to the Dock Square, Kennebunkport - which has a number of restaurants and small shops. A renovated 19th century mansion with elegant modern design and beautiful views across the harbour. Rooms are luxurious in every way with sink-into beds and indulgent bathrooms. With an award-winning restaurant and small spa, it is a sophisticated base from which to explore the region. 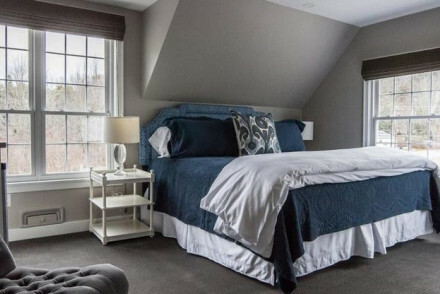 This cosy B&B, in the heart of Kennebunkport, is steeped in local history. 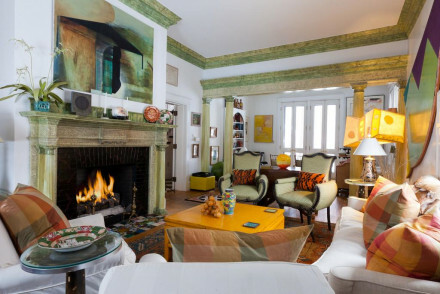 A former Captain's house with antique furnishings, contemporary comfort and style. You'll be truly spoilt with a fabulous breakfast and any number of pointers for a great day out. Sights nearby - Take a tour of Wood Island Lighthouse. A luxurious boutique hotel. Ideal for seaside relaxation in style. Stellar ocean views onto Goose Rock Beach, and a vibrant bar & dining. Smart, charming rooms with plush furniture and marble bathrooms. Stargazing, bonfires, kayaking, cycling, paddle-boarding. An idyllic beach resort. This historic B&B is decorated in the most opulent fashion; fourposter beds, antique furnishings, plush linens, exuberant wallpapers as well as every modern comfort. Prepare for the ultimate indulgent getaway with spa facilities, an extensive wine cellar and lavish three course breakfast! Kayaking - Rent a kayak to explore the harbour, coastal inlets, islands and rivers near our southern Maine Coast Inn. Fishing - Charter boats are available for deep-sea trips to search for blues, stripers, tuna and grouper. Sailing - Book passage on either a classic style schooner or a modern sailboat. Spa - On-site professional spa facilities. A luxurious oceanfront hotel. Modern, warm, and inviting. Breathtaking ocean views from rooms, which feature a smart, contemporary design. Activities include nightly fire pits, beachfront sunsets, early morning yoga and garden tours. Ideal for a stunning and elegant sea-side retreat. 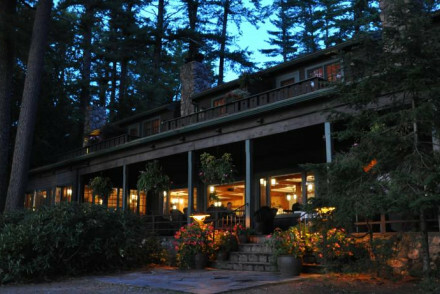 All inclusive luxury with thirty five private log cabins set in 125 acres of pine forest, overlooking Lake Sebago. Enjoy lobster dinners, daily BBQ lunchtime cookouts and smart evening drinks on the veranda. All activities, from water skiing to morning pilates are included. 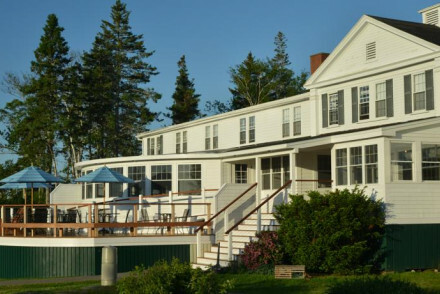 An elegant ocean front B&B, perched on the Penobscot Bay in Lincolnville. The decor is seaside-chic, with blue on white tones and clean lines with plenty of natural light. Truly unwind as you watch the sunset from your own private balcony. Sights nearby - Visit Marshall Point Lighthouse, The Owl’s Head Lighthouse and Pemaquid Point Lighthouse. Kayaking - Kayaking and canoeing on Penobscot Bay or nearby Megunticook Lake. Fishing - The Inn will organise fishing in Lake Megunticook. Rural New England cottages in stunning forest land with kitchen, roaring fires, private balconies and outdoor rain showers. Rooms are modern and comfortable, quiet and intimate. Earth offers farm-to-fork outdoor dining. The Tree Spa has a range of treatments and back to nature activities for all. Kayaking - Paddle boarding and kayaking on Goose Rocks Beach. Great walks - Nature Walks on the Hidden Pond Nature Trail. 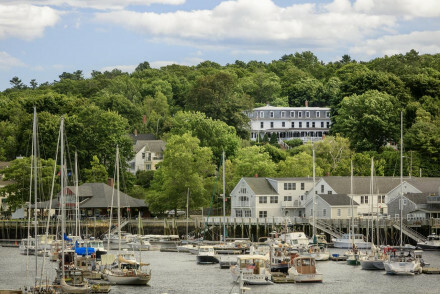 A beautiful waterside resort in Maine's picturesque Boothbay Harbour. Comfortable, classic and chic- the rooms offer king size beds as standard and many have balconies overlooking the bay. The excellent restaurant offers indoor and pier-side dining and the craft cocktails are dangerously good. In the heart of Casco Bay, this idyllic hotel offers a relaxing retreat with a smart outdoor pool and Cabana Bar. Beautiful sea views. Access to Pebble Beach and to miles of scenic trails. Full of historic character. Contemporary rooms with plush beds and flat-screen TVs. An unpretentious and relaxed seaside hotel with a country club feel. Uniquely surrounded by water on three sides, Blackpoint Inn boasts magnificent sea views. Sophisticated and tasteful bedrooms and a smart, fine dining restaurant serving locally sourced seafood. Quintessential New England charm. An enchanting lodge perched right on the Mooseshead Lake. The luxurious lodge is orientated towards the lake, with floor to ceiling windows and private patios. Each room has its own theme, think totem pole fourposters, indoor swing seats, and antique snow shoes. A sophisticated wilderness escape! Back to Nature - Peace, quiet, lush forests, life-filled lakes and experienced guides to explain it all to you- what could be better? Birdwatching - There have been more than 415 species of birds recorded in Maine, and no more beautiful place to observe them. Fishing - From fly fishing, trolling or ice fishing, there is something here for everyone. 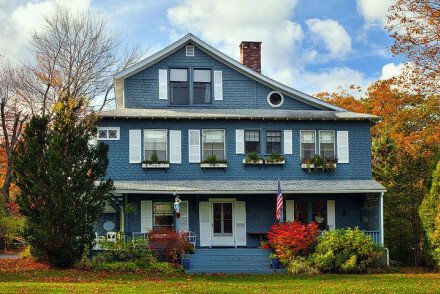 A charming Victorian-era captain's house, turned smart B&B in Boothbay Harbour, Maine. With a wrap around terrace, balconies, and a widows watch there are plenty of perches to admire the harbour views. 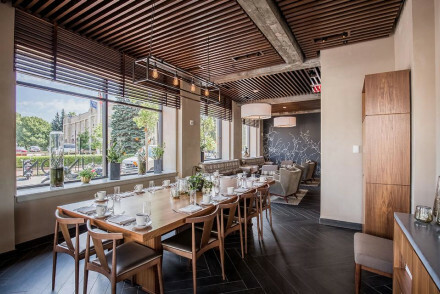 The simple yet stylish interiors are matched by an excellent breakfast and warm welcoming service. Fishing - Head out with local fishermen to catch lobster, fish and crabs for your dinner! 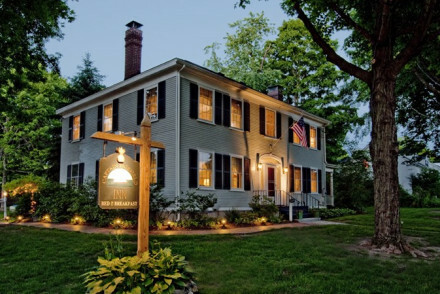 Charming inn on the Kennebunk River, an area famed for picturesque landscapes, close to some of Maine's best beaches. The rooms are rustic and traditional, many with fireplaces and marble bathrooms with whirlpool tubs. The 140-year-old barn houses a brilliant restaurant, and the spa is excellent. A whimsical and well put together printing press themed hotel, in the old headquarters of Portland’s Press Herald. The interiors feature ancient type writers, type print carpets and wallpaper and beautiful artworks by local artists. The restaurant stands out as remarkable even in this foodie town. 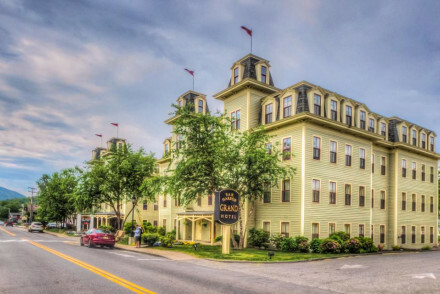 A grand hotel in Bar Harbor, on charming Mount Desert Island. Comfortable and spacious rooms come with a deluxe breakfast in the excellent restaurant. The staff are welcoming and warm and the swimming pool is a great addition. With a central village location, a gym and jacuzzi they have it all.